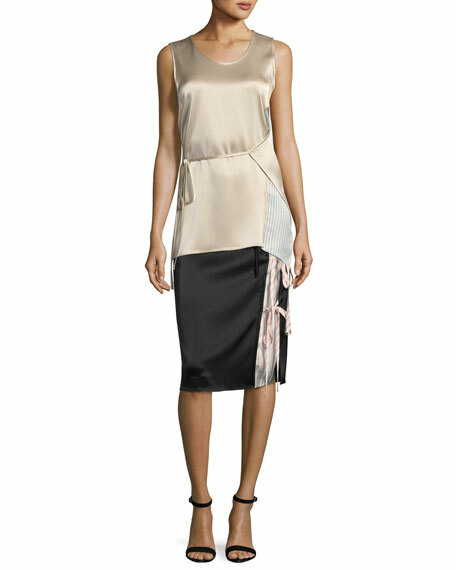 T by Alexander Wang skirt in heavy draped satin. Striped combo with bow-ties at side. For in-store inquiries, use sku #2510358.